Stanley Borowy, a resident of the West Rutland and Burlington communities of Vermont has been suffering from Pulmonary Fibrosis for some time and requires oxygen round the clock to breathe. He has been told that his only chance at survival is to have lung transplant. Some of you know Stanley as a dental technician, or the man with the strong, beautiful voice who sings in church, or the father of 11-year-old, Anna, at Christ the King School. Born and raised in Poland by Catholic families, Stanley and Krystyna were instilled with a strong faith in God. Stanley even spent two years in a Polish seminary and had Bishop Karol Wojtyla, subsequently St. Pope John Paul II, as one of his professors. The families of both Stanley and Krystyna attended the same church in Poland. However, the two did not really meet until they immigrated to the USA and met in Vermont on the Feast Day of the Holy Trinity. The Borowys are well-known members of the community and St. Stanislaus Kostka, St. Bridget and Christ the King parishes. Each of them has two grown daughters from previous marriages. A lung transplant will save Stanleyâ€™s life but it will be financially devastating. Even with insurance there will be many uninsured transplant-related expenses such as: co-pays and deductibles, medical supplies and, care-giving expenses, travel and temporary relocation to the Boston area and the costly immunosuppressant medications that he will need to take for the rest of his life. To help with the financial burden of Stanleyâ€™s uninsured expenses, a fundraising campaign in his honor has been established with HelpHOPELive, a trusted nonprofit organization which has been providing community-based fundraising guidance to patients and families for more than 30 years. 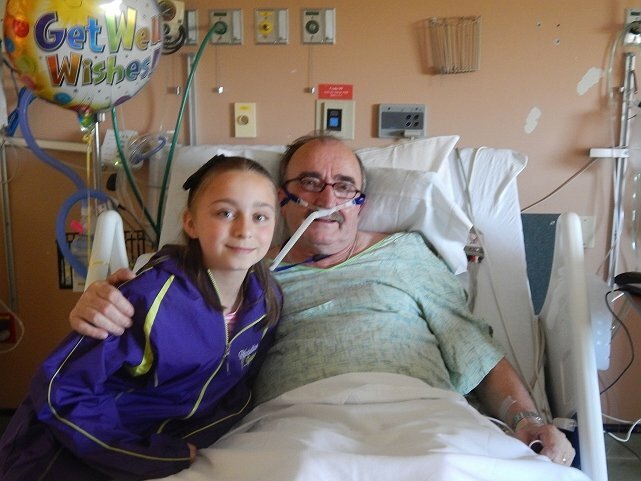 All donations are tax-deductible, are held by HelpHOPELive in the Northeast Lung Transplant Fund, and are administered by HelpHOPELive for transplant-related expenses only. Please consider making a donation today by clicking the DONATE NOW bar. Thank you for your prayers and generosity. Please keep an eye on Stanleyâ€™s HelpHOPELive web page information on upcoming fundraising events. Even as Stanley’s HelpHOPELive campaign page goes “live” today, we are pleased and blessed to announce that Stanley has received his “Gift of Life” — his lung transplant! We are most grateful to the donor’s family and will keep all of them in our thoughts and prayers. God bless you all! Stanley, I couldn't be happier for you and your family. My thoughts and prayers have been with you and your family Thank you Dear Lord for taking care of Stanley! we love you buddy. see you soon. anna is just great. we are thinking of keeping her. you are a very lucky family.